Seeing a theater show, where real people tell a story live on stage (and may even sing and dance!) can be a thrilling experience for the whole family. 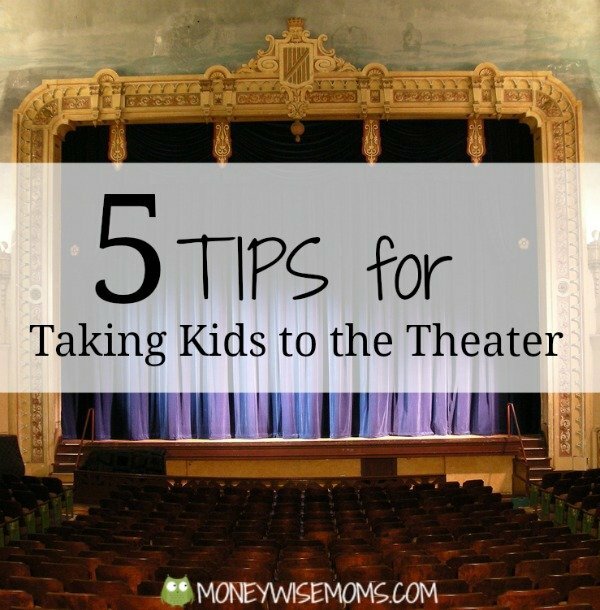 But taking kids to the theater can be an expensive outing, so it’s worth taking the time to make it the best you can. 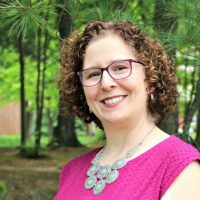 These 5 tips can help! Consider show length, content and your child’s disposition before spending a lot on theater tickets. For many years, my girls couldn’t sit through a 90-minute movie. They couldn’t stand the loud volume or being in the dark, so seeing a live theater show went on the backburner for a long while. 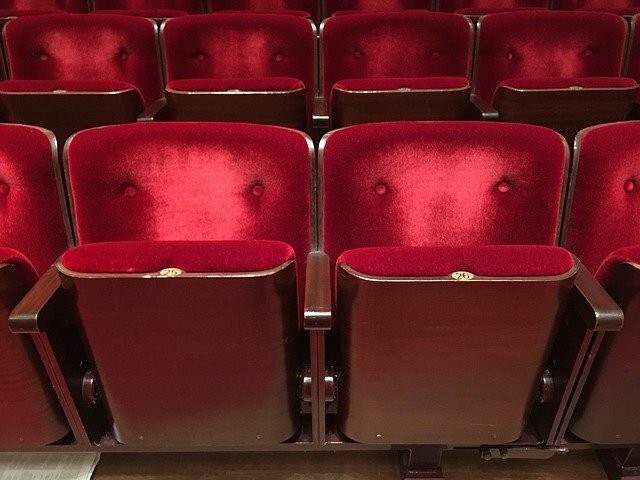 In many major cities, theater companies specifically stage shows for children as young as 3, so look online for recommendations for local theaters and productions. You may also find shows that run less than an hour, which is a great way to get younger kids started on live theater. Depending on the age of your kids, you may want them to know the story ahead of time so that they can follow along with the fast-pace on stage. Read the book or watch the movie and talk about the characters, plot and resolution. You could also listen to a cast recording of the music from an upcoming show to get the kids excited about what they’ll be seeing. With any theater visit, talk about what will happen before, during and after the show. When do we need to sit still, and when can we walk around? What should we do during the quiet parts of the show? When do we clap? My kids have a hard time sitting through the previews before a movie, so having to arrive early at a theater, find parking, find our seats and wait for the show is tough. 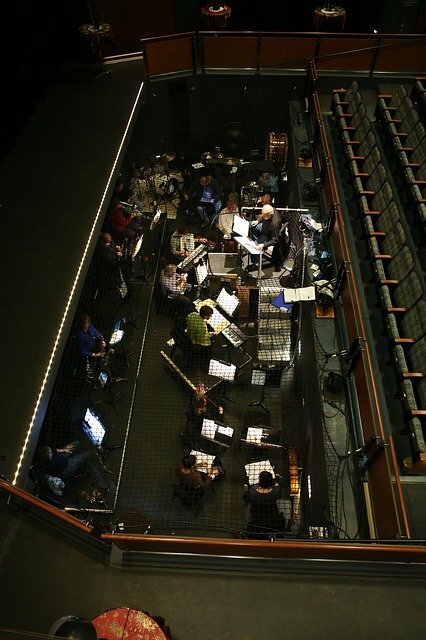 Many theaters will let you get up and walk down to the orchestra pit before the show, to peek in and even talk to the performers. To get through the wait time before the show, consider bringing some quiet activities to keep busy. Be careful about bringing iPads and other electronics, since many theaters won’t allow cameras inside. Some theaters offer booster seats, so ask when you arrive. For your sake, make sure your kids are well-rested and well-fed. I made this mistake once with my son and it won’t happen again! After the show, talk about what they enjoyed about the performance, costumes, sets and other details. Discuss how the story was interpreted compared to whatever source you shared beforehand. My son is always fascinated with the lighting, props coming from the ceiling, and any aerial effects, so we always have a lot to talk about. 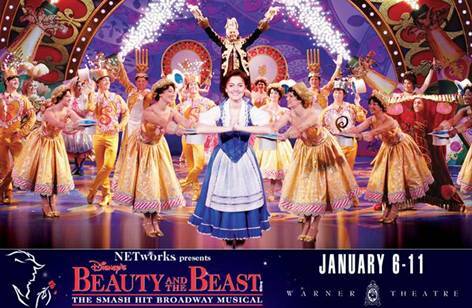 The fabulous show Disney’s Beauty and the Beast is returning to Washington DC this January 6-11th at the Warner Theatre. Tickets are on sale now! The show is currently on the West Coast and is traveling across the country over the next few months. Find tickets for your city. Whether you’re a DC-area local or would like to travel in for the show, one lucky MoneywiseMoms reader will win 4 tickets to see Beauty and the Beast at the Warner Theatre for the opening night performance on Tuesday, January 6th. If you’re reading this in an email or RSS feed, you’ll need to click over to the blog to enter on the Rafflecopter widget. This giveaway is open to the US and ends at 12:00 midnight ET on November 14, 2014. I’ll email the winner, who will have 48 hours to repond and accept their prize. The winner will pick up the show tickets at the Will Call window. Disclosure: Warner Theatre is providing the tickets for this giveaway, and my family is receiving tickets to see the show. Original photo by Mickey Thurman on Flickr. I would suggest making sure you have an emergency NON messy snack in your bag (gummy snacks, etc)….just in case. I know its not appropriate for a theatre, but sometimes its just necessary to break up a possibly long show. I love to review the story or read the book of the show we are going to see right before going – we talk about the characters, setting, plot, etc…. I always discuss the behavior expectations before we go in to any event as a reminder for my kids! My daughter would love to see Beauty and the Beast in the theater! So would I! Maybe I can make this a Christmas gift for this year!! This would be our first time. We love seeing shows at Imagination Theater in Bethesda. Definitely pack a light snack in your bag and grab boosters. Also warn kids that theater might be very dark at times. I find telling the story ahead of time really helpful. Young children can have a hard time with the unknown and suspenseful or scary moments can be even more intimidating on stage. Knowing what’s going to happen can ease fears. 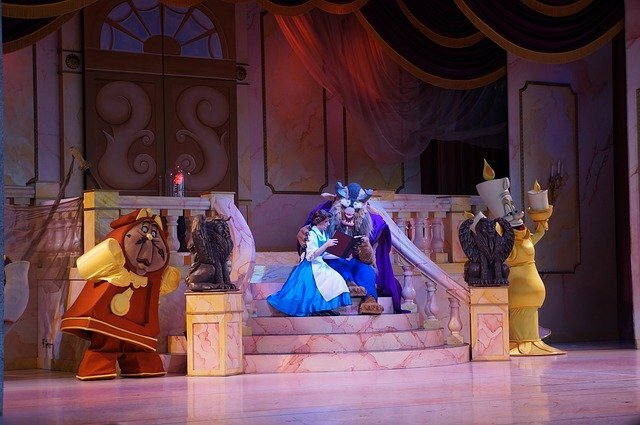 My youngest is 6 now and she would love a show like Beauty and the Beast. Oh, my goodness. My grandchildren would be so excited if I won these tickets. My tip would be to try to be sure both kids were well rested (easier said than done!). Telling the story ahead is time and bringing snacks are great tips. Or maybe allowing them a treat at intermission. Sometimes it’s more about the whole experience than the show! I’ve been thinking my kids might be old enough for Nutcracker this Christmastime, but I’m not sure. These theater tips are good. “Prep for the story” has helped a lot in our theatre outings. The kids have enjoyed shows a lot more if we spend a little time talking about the storyline than if we go in cold. We would love to win these! We love the theatre. Thanks for the chance. make sure everyone is fed & go to a matinee – evening shows that start at bedtime are never a good idea !! Would love to see this in the theatre! One of my twin girls wants to be a performer one day! My younger kids have never been to the theatere. This would be a great first show. I took my girls – age 6 – to see Pinkalicious at the Adventure Theatre this summer and they loved it. I think it helped that the first show they saw was kid friendly. We can’t wait to go again! This would be my first time taking a kid to a formal theatre event. Basically we’ve covered library programs to date. This would be such a fun first show! This would be a first big theater show for my boys. They are the perfect age for the show! Start out with local community theatre at area high schools or through the parks department. Better to introduce them when the ticket cost isn’t as high;-) My girls are both now officially teens but have enjoyed seeing and performing in musical theatre for many years now. Would love to go as a fam!! Take a booster seat so a tall person (any adult, really!) doesn’t completely block the view. We review the story before the show, talk about theater manners, and bring a healthy snack for intermission. We enjoy family theater trips! Would love to take my daughter to a show. This would be the first time, but I think the girls would love it! This would be my girls first trip to the theater! Oh how my kids would love this!! So awesome of you to have such a great prize! This would be my first time and my sons first time at the theater.